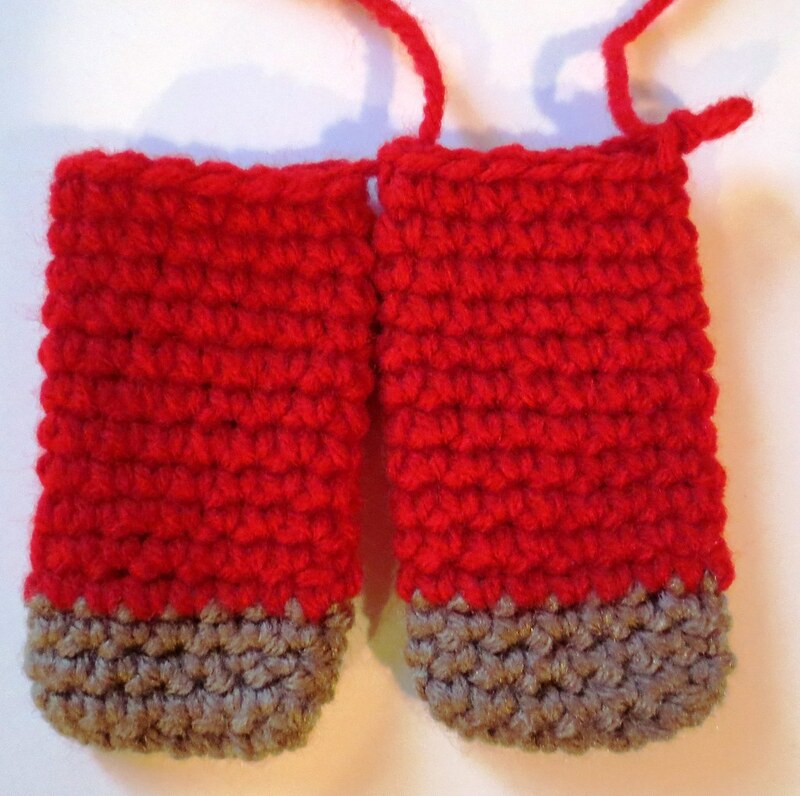 Here is a leg piece to share, I end at the side of the leg and simply join a new color with a SC (single crochet) stitch and work in the round. I do not join, turn, or chain 1 to start a new row. 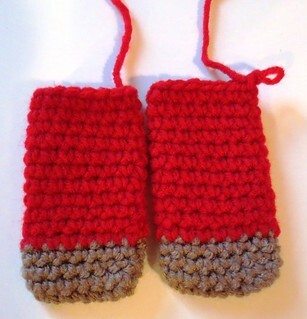 This leg piece measures about 3-3/4 inches long with a total of 15 rows. 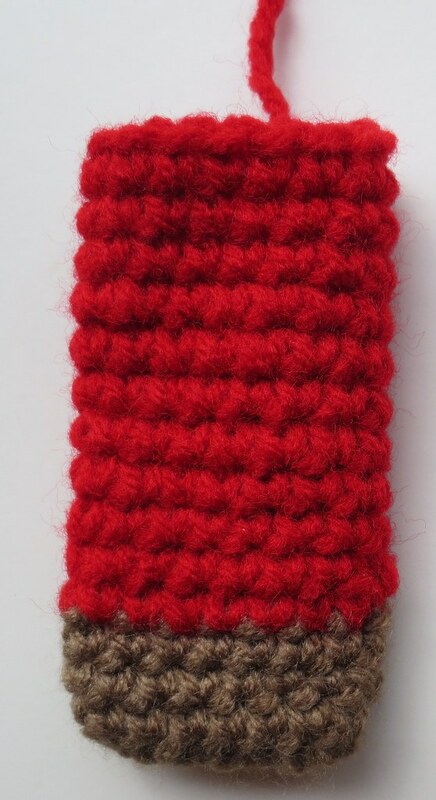 This was crocheted using Red Heart yarn which is thicker than some yarn so I only did 15 rows compared to the official MBP pattern. For thinner yarn such as Aran, I do the complete more rows so the leg piece is still about 3-3/4 to 4 inches long. 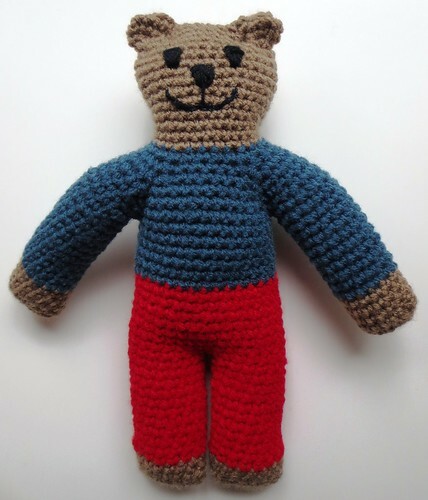 I have found this is just right so my completed bear is between 11 and 12 inches tall. Once both legs pieces are completed, I join them together as shown. Use the tail for the first completed leg to join at center. Leaving the yarn attached on 2nd leg at side, now crochet around top edge of both legs and into center between the legs. I use the tail at center to close any gap at crotch but if you SC into crotch at center on both sides, there is little or no hole at center to close. 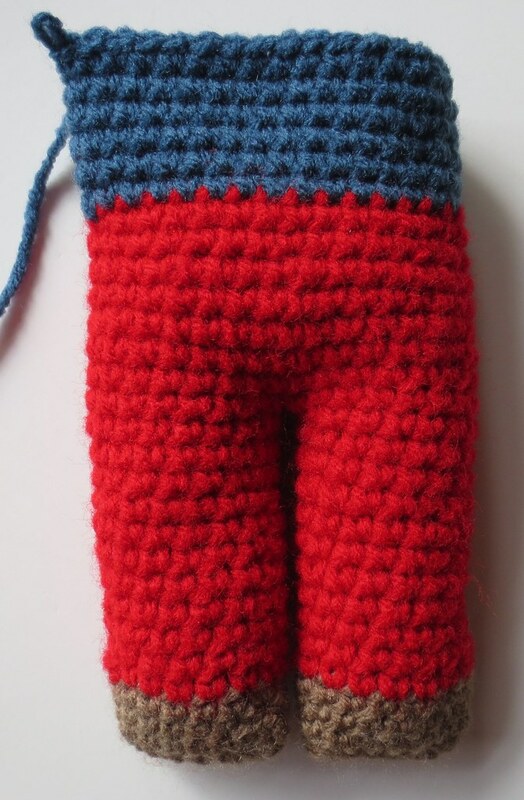 Continue crocheting in the round without turning or joining as you work up to the waist of the pants. 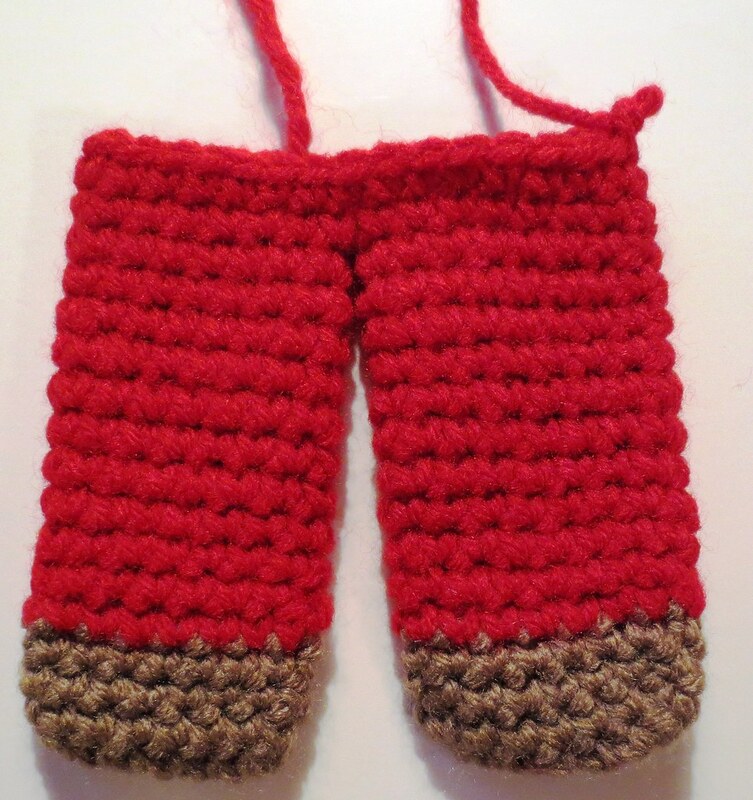 Once you have the desired height of the pants, end at side with a slip stitch. 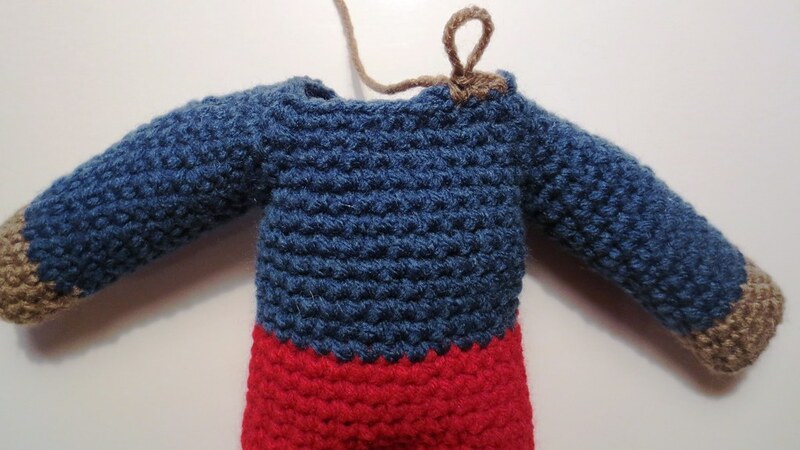 I then join yarn with a SC in the new color for the bear sweater. Crochet the arms seamless by working in the round without joining or turning. Change colors at side of arm the same way as the legs above. Once the arms are done, attach to the sides of the body with a SC stitch through the armpit and continue working the pattern. Using the tails to close any holes under the armpits. Now once the sweater is finished, end at back edge with a slip stitch as shown. 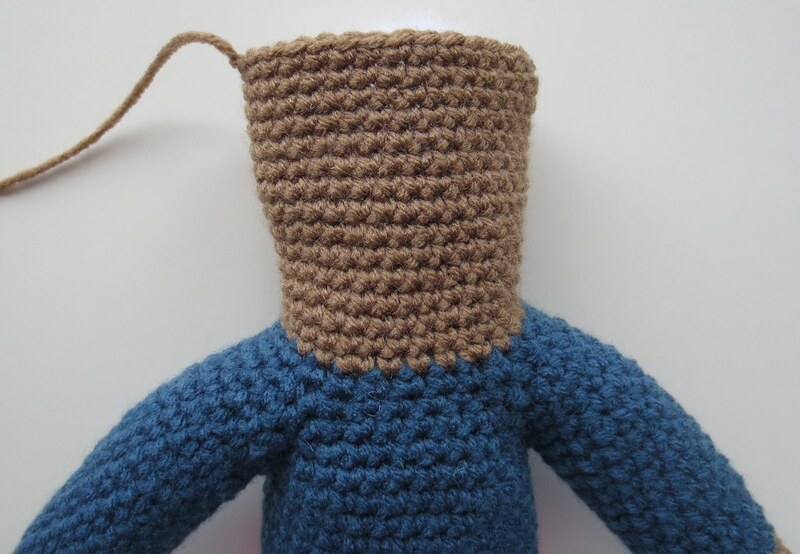 Attach head yarn with a SC stitch and follow pattern but working in the round without joining or turning. 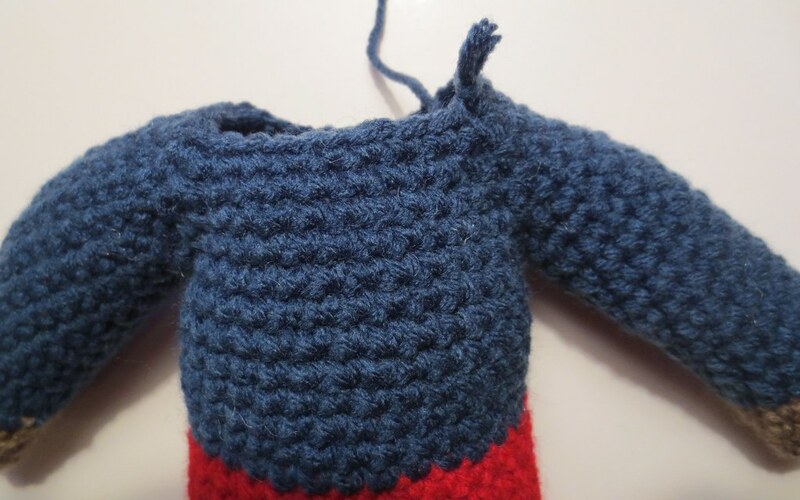 Finish the head and end at side seam and leave a tail to close the top seam of the head. I stuff the bear’s upper body and head at this time. I have found it is easier for me to add the face before closing the top head seam. Once the face is done, I use the tail to whip stitch closed the top of the head. Next shape the ears and clinch the neck as needed. Here is my finished head and face of my crocheted seamless teddy bear. 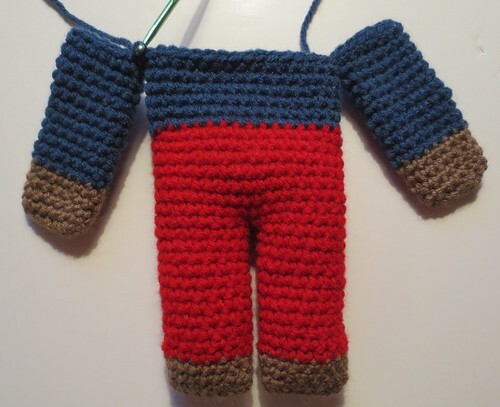 I hope you will these pictures and instructions helpful for crocheting your seamless Mother Bear. cute.I wish i could do stuff like that. This is super helpful! Thank you! I was very confused about attaching the arms and your tutorial helped immensely! Catriona – Great to hear that my tutorial helped you out. Thank you for taking the time to comment. It is so nice to hear from other bear makers. Do you just ch8 and increase to 16 or do you follow the written increases and scs? I have made seamed motherbears and bought the seamless pattern but found it confusing to me. Thank you for your help. @Christina – I followed the beginning for the foot as written but work in the round without joining or turning. So I chain 8 and worked the increases around and worked in the round so at the 2nd round, I had 16 stitches. You can do it however works best for you to crochet to 16 sts. Then I work the rest of the leg up even on 16 stitches. Hope this helps, let me know if you have any more questions as you work the pattern. Thanks Cindy. 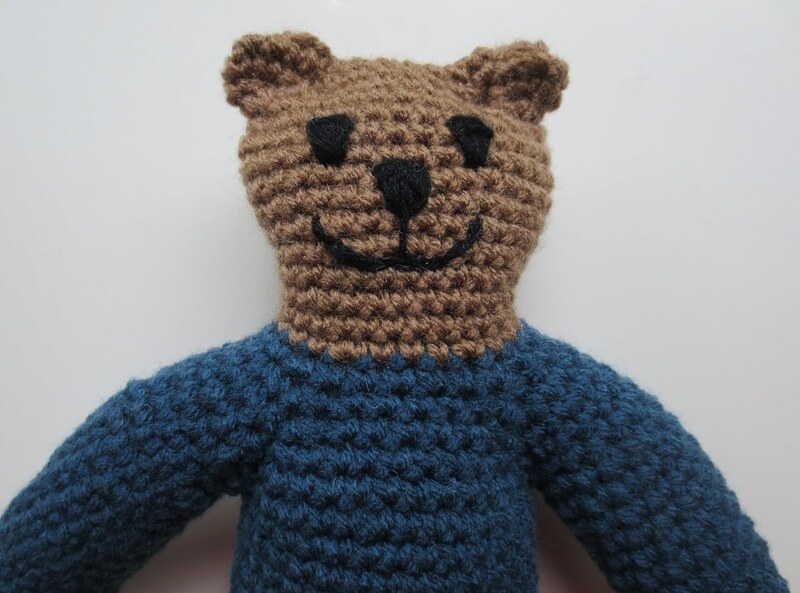 I just saw your new bear on Ravelry and it is so cute. I had a lot of trouble with the head on mine (amakeshiftmermaid if you see it there named Mother Bear 6). The head on yours is so round and mine came out sort of oblong. Not sure what I am doing wrong but it is my first time attempting seamless crochet. 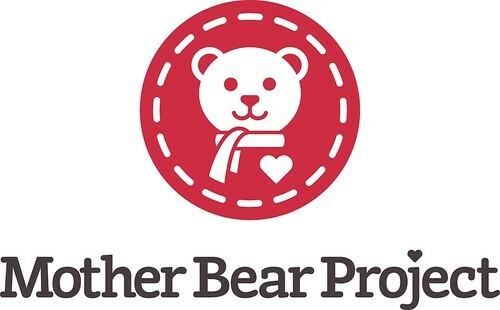 I am crocheting my first bear for the Mother Bear Project. Thank you, thank you, thank you for the photos and instructions. It is making the project more easy to understand.